An in-depth analysis of sales ROI results for LinkedIn Sales Navigator users reveals some striking numbers about the tool’s bottom-line impact. There’s only one way to prove something exists: seeing it for yourself, plainly and clearly. Sorry, but that blurry image of Bigfoot isn’t going to cut it. And the UFO in that photo could easily be an airplane or a smudge of dirt. Visible proof turns an idea from theory to fact. Our Sales Navigator tool has the power to do just that. 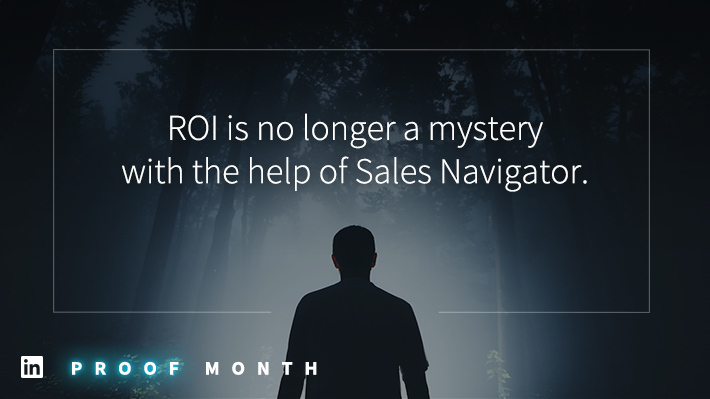 Data from a recent wide-reaching analysis of Sales Navigator users removes any shadow of doubt regarding the ROI impact of social selling. As you’ll see, the results speak for themselves. Sales Navigator helps close deals. Because the system enables reps to understand buyers better, and engage them more effectively, users are seeing a lift in converting opportunities. Prospects are more receptive to personalized and relevant outreach, so it isn’t hard to see why they would respond positively to salespeople armed with the insights about their needs made available through LinkedIn and Sales Navigator. Win rate is one of those clear-cut metrics that stands on its own. An increase means more pipeline revenue, more teams hitting quotas, and more new business to build upon. Some companies have experienced an even more dramatic boost from utilizing the tool. For instance, Sprinklr attributes a 20 percent increase in win rates for its reps to using Sales Navigator. Buyers who are active on social media tend to have larger budgets than those who don’t. Aiming for highly lucrative deals without incorporating social selling into your strategy is like fishing for a trophy catch without a lure. But more specifically, Sales Navigator tends to generate larger deals because of the knowledge it yields about an organization’s buying committee makeup and various business objectives. When reps are able to connect with a greater number of influential decision-makers, and customize pitches around their most pressing priorities, it leads to more upsells and more robust agreements. SAP recently called out Sales Navigator as a key factor in raising deal size by 600 percent. 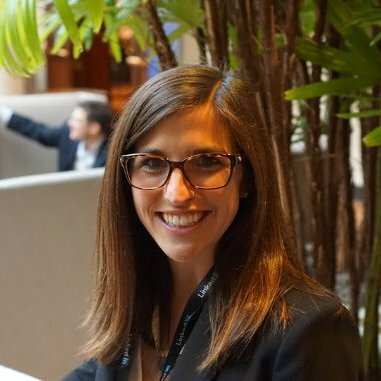 Keeping the pipeline flowing is a critical imperative for every company, and this is increasingly becoming a function that extends beyond the marketing department. When sales teams are sourcing their own opportunities, they become even bigger assets, and help themselves by ensuring a steady stream of leads to follow. At its core, Sales Navigator helps you find new qualified prospects and make warm intros, then stay engaged. Your customers are out there, and this tool serves as a spotlight that illuminates them as well as the path to reaching them for a strong connection. Altogether, our aggregated analysis shows 61 percent of total revenue for companies tracked in the study was influenced by Sales Navigator. Sometimes the impact is relatively small -- a single interaction with an individual or company on the platform -- and sometimes it is transformative. But in the majority of cases this sales support tool plays a distinct role in getting business done. Don’t take our word for it; request a demo or free trial and try Sales Navigator out for yourself. To learn more about the fundamentals of demonstrating value in today’s selling environment, download our Proof Positive: How to Easily Measure and Maximize Sales ROI.